To God; of course. The Bible is clear that each of us is ultimately accountable to him for all that he has entrusted to us. However, there is also clear biblical precedent for accountability between human beings in the context of Christian community as members of the body of Christ. Accountability is responsibility for and to. It requires a measure of submissiveness regardless of gender, age, experience or title. Prior negative experience with people in authority does not exempt us from accountability. Neither does being a leader or “in ministry”; to the contrary, it makes the need even greater. Ministry leaders who believe they are accountable only to God or that “no one understands my situation” are effectively saying they are above all other people. This is an exceedingly dangerous perspective, one that can quickly lead to abuses of position and power. The question, then, is not whether we should be accountable to others, but to whom. Every one of us needs a network of people (notice the plural!) in our life who can truly challenge us and hold our feet to the fire. This network can include people in authority over you (such as an employer or supervisor); people who are in close relationship with you (such as a spouse or coworker); people who are impacted by the use of your authority (such as an employee or congregant); and people who have been voluntarily enlisted to provide personal accountability (such as a friend or mentor). The strongest network will have a combination of these. 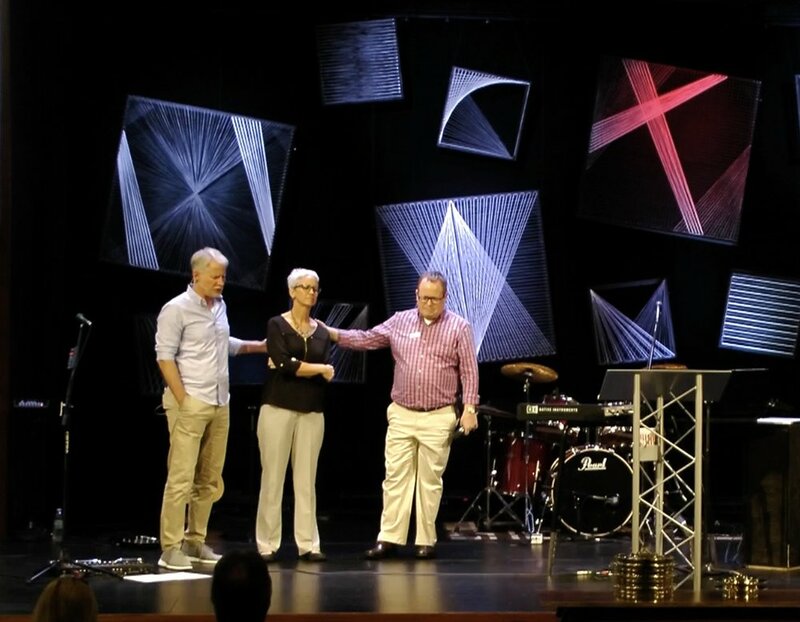 My commissioning at New Hope Church, October 2018. My home church, where I report regularly about my ministry to the congregation, our Pastor of Missional Discipleship, and our leadership Council. My husband and sons, who have permission to ask me anything and to point out areas of growth. The couples in my “Hope Group” (small group), especially the wives who are among my closest friends. A “personal advisory board” of three women to whom I give an update about my ministry, my relationships, and my personal health at least four times per year. One of these is local and can see whether there is consistency (integrity) between my public and personal lives. Accountability is not optional, no matter your life stage or leadership station. What Are Your Uncle Larrys?